Philadelphia: Softest City in America. Just Ask the Football Coach! I use Palmolive when I do dishes, and then a skin softener before I go to bed. Next question? 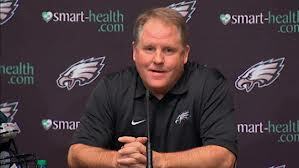 New Philadelphia Eagles coach Chip Kelly has always been a little unorthodox. His no-huddle, fast paced offense at the University of Oregon has perplexed college defenses since he became offensive coordinator in 2007 and he continued to give opposing d-coordinators fits when he was the head coach. His unique style of coaching has been copied in the NFL, as the New England Patriots have adopted a lot of his playbook, which has lead to great success as all football fans know. However, his latest decision as an NFL coach has me and other football fans scratching our heads, as his theory on training camp intensity goes against virtually everything I believe football is about. It’s not called “tackle” because they carry fishing boxes! NFL fans love football because of the violence. Sure, we enjoy great passes, athletic catches and a cutback by a running back into the open field. 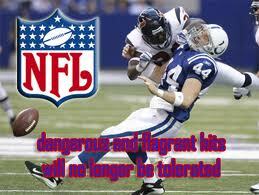 However, real football fans enjoy the gruesome hits and tackles that we get to watch every Sunday. Football is a contact sport and the tenacity of the game (plus gambling) is the reason it has become the most popular athletic league in the world. Chip Kelly doesn’t care about what we want, as his new policy at Eagles training camp is one of no tackling. You’ve got to fight for the right to fight for the right. Kelly feels his players will be better prepared to enter an NFL season by avoiding the physical collisions that often lead to injury. Some might say that this is a wise decision, especially considering the fact that the Eagles have already lost star WR Jeremy Maclin for the year due to a torn ACL on the first day of training camp. 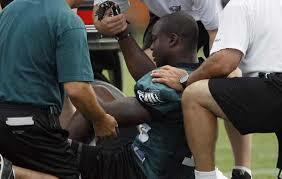 The people who point to Maclin’s injury are flat out wrong! Maclin’s injury was unfortunate for the Eagles, but it had nothing to do with tackling, as it was a non-contact injury in which the player blew his knee out by cutting on it the wrong way. It was unavoidable and had nothing to do with the violence on the practice field. Kelly’s policy is a panic move and I believe it is really setting up his team for failure. Maybe The Philly Cream Cheeses? There have been many NFL coaches in the past who have lead many NFL training camps, and none have ever implemented this strategy. Why do you think that it? Is Chip Kelly smarter than all the NFL coaches prior to him? Absolutely not! 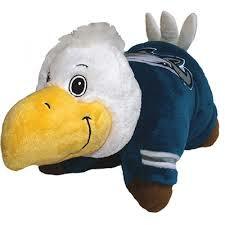 The Philadelphia Eagles will be a soft football team this year. They are in a division that includes RG3, Alfred Morris, Victor Cruz, Hakeem Nicks and Dez Bryant. These are some of the most physical, fast and skilled players in the world. How in the world does Kelly expect his team to bring these guys down in the open field when his players will have no practice in doing so. Kelly feels that his players will have enough full-contact practice in the preseason. I guess nobody told him that the starters barely play preseason football. Therefore his main players will not be able to really hit anybody until Week 1 when the games actually count. On top of that, many injuries occur in preseason games as players are often playing for their jobs in these spots and are extra physical. Kelly is going to to run tissue paper soft practices and then throw his players into full contact competition against players who have been hitting the hell out of each other for weeks? I might be crazy, but this does not sound like a recipe for keeping your players healthy entering the grueling football season. If I was a fan of the Giants, Cowboys or Redskins, I would be licking my chops to play these pansies during the season. I can’t believe a town like Philadelphia would embrace this culture, as Philly has in the past been a tough-nosed city and usually has sports teams to reflect their tenacity. When the Eagles hired Kelly, many NFL insiders were excited to see if he could bring his college success into the NFL and were waiting to see what his game plans and coaching decisions would look like. Little did they know that Kelly’s first move would be to soften his team to the point that local Philadelphia high school teams will participate in more grueling workouts then his Eagles. Not to worry though Chip, if this NFL thing doesn’t work out I’m sure you could easily get a job coaching a gymnastics or figure skating team, as those appear to be more your speed. It’s only a matter of time before the Eagles Cheerleaders start talking amongst themselves and asking each other why they need to root for this bunch of women. Hey – is that an iceberg? Growing up, most kids are told to shoot for the stars and that any goal they put their mind too they can accomplish. 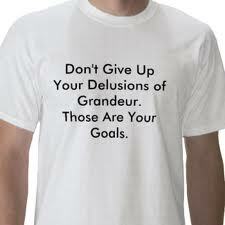 But what adults don’t tell you is that there is such a thing as an unrealistic goal. The best player in the NFL, Adrian Peterson, has just set the most unrealistic goal I have ever heard. AP is coming off the greatest comeback season in Pro Sports history and he might be letting it get into his head just a little…OK a lot. Yesterday, Peterson made a statement that has the NFL world buzzing as he proclaimed he will not only break Emmitt Smith’s all-time rushing record, but he set a date for him to do so. Adrian said that he will break Smith’s record on week 16 of the 2017 season. Not only is this goal unrealistic, it is absolutely absurd. You heard me. Come down here and we’ll just see who’s God. Let’s start with his opening statements; Adrian finished just 9 rushing yards shy of breaking Eric Dickerson’s single-season record mark of 2,106. 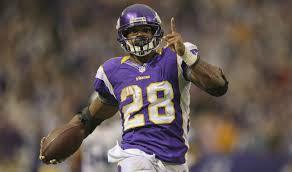 Peterson first went on to say that he will not only break that mark this year but he will finish with 2,500 yards. Are you f-en kidding me? For all of you non-math whizzes out there, that means Adrian would not only have to play in all 16 games in this upcoming season but he would have to average 156.25 yards a game. To put that in perspective for all of you, AP led the NFL in yards/per game last season with 131.1. The next closest RB to him on that list was my boy Alfred Morris who only averaged 100.8/per game. 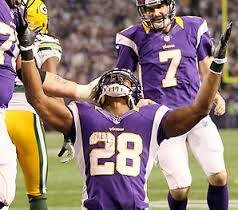 I can guarantee to everyone out there that AP has absolutely NO CHANCE of hitting the 2,500 mark in one season. It would be nice, but it’s not going to happen. Pushin’s the only way to do it. Now pull me the f^#%$ out of here! Screw Emmitt. I’ll dance a Tango in my bare feet with a linebacker on my shoulders. It sounds like he is motivated and pumped to get to this mark, but I see it more as Peterson having major delusions of grandeur. There is no question that he is the best Running Back the game has to offer and there isn’t even a close second, but for him to think he can actually accomplish the goals he has set forth is nothing short of crazy stupidity. 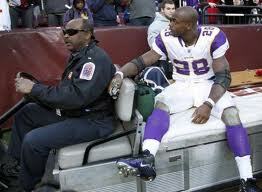 AP is 28 years old and has already gone through a surgery that most people wouldn’t even be able to recover from. AP has played 6 full seasons and he isn’t even halfway to the Dancing with the Star’s season 3 Champions mark. (Yeah that’s right, Emmitt Smith won season 3 of Dancing with the Stars) Adrian Peterson must be out of his damn mind if he actually believes what he said to be true. Number one? Sheeeet. I’m better than that! I’m number ZERO!! While I would love for all of your statements to come true, I now fear for your health because you just put a giant target on your back for every defensive player in the NFL to aim for. I understand that you have the second worst QB in the NFL, behind Mark Suckchez of course, and you will probably be getting the most carries in the NFL this year, but that only means that these gigantic defensive players are going to have more opportunities to make you eat your words. I wish you luck, but I think you might have just stalled what could have been one of the best Running Back careers ever. David Cone Drops an F Bomb on a Sunday! Incase you missed the biggest hit from the weekend in Major League Baseball, it came from the bat of “Big Papi” David Ortiz in Baltimore on Saturday. 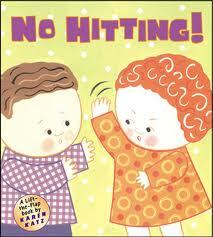 However, his bat never came close to touching the actual baseball. After calling timeout and stepping away from the plate, the pitcher threw a high pitch as Papi was out of the box and the umpire called it a strike. In fairness to Ortiz, the ball was at eye level and should have never been called strike one, but the umpire felt like Ortiz was showing him up by stepping out and punished him with a bad call. Two pitches later, Ortiz struck out, used what I’d imagine was profane language, got ejected and threw a temper tantrum. The worse of his actions was when he took his bat and beat the hell out of the dugout phone, sending it into pieces all over the dugout. On yesterday’s Yankee broadcast, announcers Michael Kay and David Cone showed the highlights of Ortiz’s antics. Kay described it using his normal play-by-play style, and then David Cone provided the color analysis. Now as a big David Cone fan over the year, he usually seemed to carry himself with a calm demeanor. He definitely has a lot of personality, hence he has a pretty good gig on the YES network, though his true colors came out yesterday upon his analysis of Ortiz beating the phone. 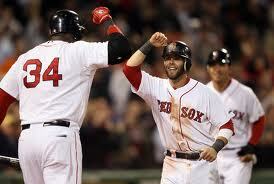 Because David Cone said he had no problem with Ortiz’s reaction, I’m assuming he really just loves phone! World’s Most Famous Arena…For Only Ten More Years! Could this be the Garden’s future? 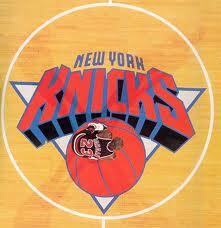 A vote took place in New York City a day ago in regards to Madison Square Garden’s permit in New York City. The New York City Council voted to extend the Garden’s permit to operate above Penn Station for ten more years, not the perpetuity vote the Garden was hoping for. The vote was nearly unanimous, as the Council voted 47-1 to limit the permit. What does this mean for New York City and MSG’s sports teams? There is a very real chance that New Yorkers will have to find a new venue to root on the Knicks, Rangers and attend many of the sporting events, concerts, shows and other events that they have been going to the Garden since 1968 to see. 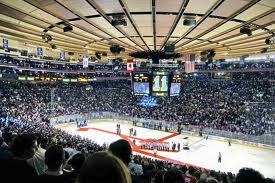 As a New York sports fan, there is really no place like Madison Square Garden to watch a sporting event. I loved the old Yankee Stadium but when the Knicks and Rangers are in the playoffs, you can feel the electricity in the building. The memories I have from the 1994 season, when both the Knicks and Rangers made their respective finals are right up with my favorite sports moments of my life as an intense fan. If New York City loses Madison Square Garden, it will lose a big chunk of its identity. Ask any opposing player in the NBA or NHL which arena they love playing in the most and the answer will be Madison Square Garden 99% of the time. Over the years, our team’s have been negatively affected by their oppositions motivation by playing on the biggest stage in sports, but it had led to great performances for New York fans to witness. From Michael Jordan, Kobe Bryant, Wayne Gretzky, Martin Brodeur and many others, New York City sports fans have been able to witness the all-time greats travel to New York City and give their best performance because they knew we were the best fan base to impress. The New York City Council feels that it is more important to extend Penn Station above ground. I don’t understand why this is necessary. 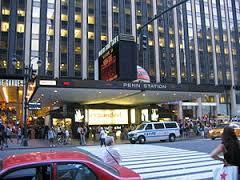 I’ve been using Penn Station to travel on New Jersey Transit and the Long Island Railroad all of my adult life. Although I can agree that a renovation for Penn Station might be a little overdue, I don’t see why it’s necessary to remove an arena that has given New York City and the midtown area of Manhattan so much life. How many bars, restaurants and other businesses thrive from Ranger and Knick game nights? Also, the New York City Subway system and other major train depots have been more than functional underground. Does the New York City Council really feel moving our sports home is necessary so people traveling have better phone service as they wait to board their trains? 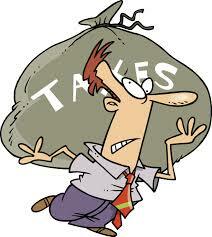 As a New York City employee, I pay a lot of taxes. Madison Square Garden just put nearly a billion dollars into renovating the Garden and the project will finally be complete this fall. Now, this Council is telling New Yorkers that not only will the city need to build a new arena and renovate Penn Station, but also it is likely that Cable Vision and Knick and Ranger owner James Dolan will want to be reimbursed the money he spent on the latest renovations. Where do we think this money might be coming from, if not New Yorkers paychecks? Lastly, New York City fans are well aware of what happens when our teams homes are relocated. As I said earlier, the old Yankee Stadium was about as electric as MSG. The new Yankee Stadium is more like a mall then a baseball stadium. 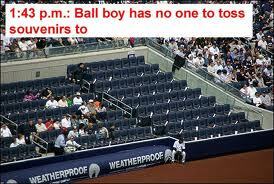 An individual can have a full night out at the new Yankee Stadium without seeing one pitch. Metlife Stadium might be bigger and cleaner than the old Giants Stadium, but it’s certainly not as loud and does not nearly carry the same home field advantage. Look at the Giants recent playoff success and you might notice that all of their big victories over the years have been on the road. MSG is the last sporting gem that we have in our area and now the clock for its relocation is ticking. Liars, Tigers and Braun…Oh My! Never in my life did I feel like the Aaron Hernandez fiasco would be overshadowed this soon after its occurrence, but the stupidity of Ryan Braun has done just that. As one of my fellow Tribesmen, I would have loved to look past Braun’s lies and deception, but I just can’t. 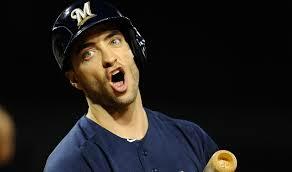 Ryan Braun did not only lie about his PED use, (who in Baseball hasn’t), but he insulted the intelligence of Major League Baseball and all of the baseball fans in the world. “I tried to handle the whole situation with honor, with integrity, with class, with dignity and with professionalism because that’s who I am and how I lived my life. “I would bet my life that this substance never entered my body at any point. “I have always stood up for what is right. Today is about everybody who has ever been wrongly accused and everybody who has ever had to stand up for what is actually right. “I will continue to take the high road because that’s who I am and that’s the way that I’ve lived my life. We won because the truth was on my side. The truth is always relevant and, at the end of the day, the truth prevailed. “I am a victim of a process that completely broke down and failed in a way that it applied to me in this case. I bet you don’t accept his apology now, do you? After admitting his wrong doings yesterday, Braun received a season ending suspension for the PED use as well as his lies from the past year. What type of message is this sending to the younger generations. This man got caught doing something illegal then got acquitted of said actions because of a loophole in a flawed system and then verbally attacked the system that was in all actuality correct. Now he only gets suspended for 65 games? That’s ludicrous. 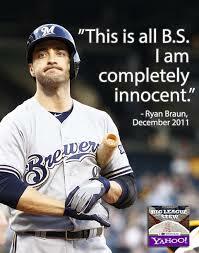 I put the lies of Braun right along the same level of those from Lance Armstrong. 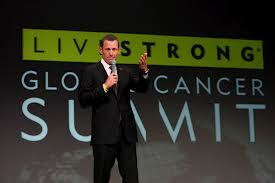 At least Lance made millions upon millions for cancer research whist lying and cheating. What the hell has Braun done? This act of deceit needs to be handled a lot better and with a much grander penalty. There is nothing we can do now except sit back and enjoy watching the next 11 people get suspended for their part in the Biogenesis Documents. 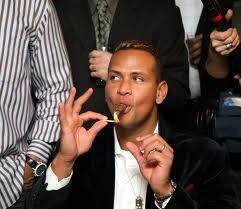 Bye, Bye A-Rod! I understand the Yankees are old. 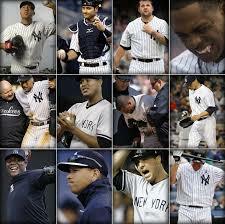 I think all Yankee fans have kind of seen the end of the road for the past few years. 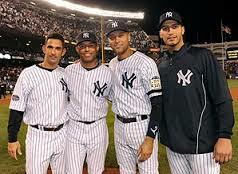 With Mariano Rivera, Derek Jeter and Andy Pettitte all in their late 30’s to early 40’s, we all knew that the time we all enjoyed in the late 90s was ending. However, nobody could have predicted that the wheels would fall of this rapidly in the form of injuries and reoccurring injuries. Texiera strained his wrist while taking batting practice at the World Baseball Classic. Came back for less than two weeks and reinjured it, out for the year! 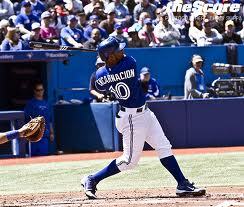 Granderson broke his finger by getting hit by a pitch, finally comes back, and gets hit by another pitch! Who knows when he’s coming back? Jeter pushed himself hard to get back, fractured his ankle again, pushed hard again to come back, strained his quad, back to the DL! Youkilis is signed to hold the fort down until the injured A-Rod comes back and his back goes out on him in April, done for the year and probably his career. 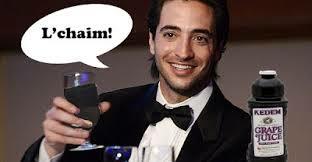 So terrible that all we could do as Yankee fans was laugh it off. Then the madness that is Alex Rodriguez around started to take over. There were steroid scandals, disputes with the Yankees front office, rumors of a plea bargain and 150 game suspension, and then when the smoke clears it looks like he might be coming back. Now I believe most Yankee fans are done with Rodriguez. He has been a negative influence for the past few years, was benched in the playoffs last season and has overall been more of an embarrassment than an asset since 2009. However, I truly believe that any Yankee fan who has seen the cast of amateurs the Yankees have thrown out at third base this season would have to change their mind to a degree, and even if they don’t like him, they understand there is a need for him. He finally announced that he would be coming back Monday and I’m not going to lie, I was excited to see it all go down. The Yankees are in Texas tomorrow and to watch him come back against his former team would have been fascinating to see. 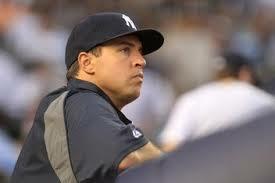 He would automatically improve the Yankees, even if he were half the player he once was. The Yankees won against Boston last night and had the chance to take the series tonight, possibly building some momentum. However, the inevitable had to happen and A-Rod felt tightness in his thigh and will need to receive an MRI to check out the extent of the injury. 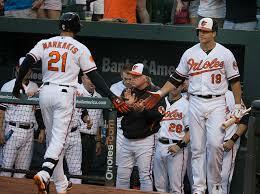 The injury occurred on the last day of his rehab stint, one day before he was supposed to rejoin the Yankees. I’m at the point where I have lost hope on the Yankees getting any of their aging players back. This is the season that Lyle Overbay, Luis Cruz, Eduardo Nunez and Zoilo Almonte get their Bronx experiences and take the team as far as they could, which is honestly not looking like it will be more than 162 games. The Yankees are 7 games above .500 which is somewhat miraculous given the roster they’ve been playing with, but they also find themselves in fourth place of possibly the most even division in baseball. 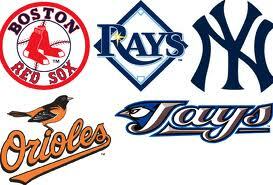 They are 6 games behind the first place Red Sox, but I believe the Orioles and Rays, who are also ahead of the Yankees in the standings are each better than both the Yanks and Sox. To have had most of my hope on the off chance that A-Rod could come back and contribute was dicey enough, and now his set back confirms that the Yankees have hit the worst streak of bad luck I have ever seen in major league sports. Because they are the Yankees and the greatest team in the history of professional sports, it will be tough to find anybody who will feel sorry for them outside of the Bronx. 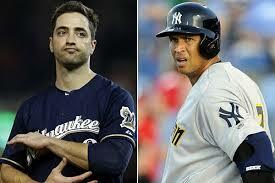 Even so, it doesn’t make the frustration for the pinstripe faithful any easier to deal with. I am still a die-hard fan and will tune into the games, but I am getting really sick of rooting for Vernon Wells and Travis Hafner.